My Prius Hybrid Battery is dying! This is something that we are starting to hear more often. 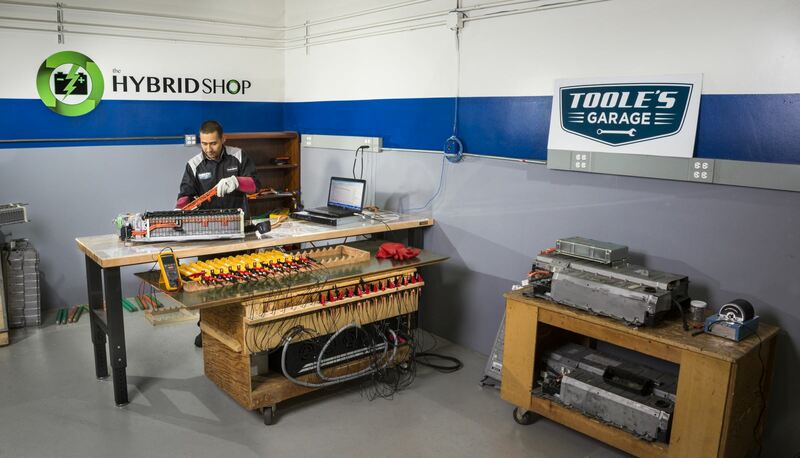 The great news is that we, as The Hybrid Shop Bay Area, are able to bring your existing battery back to life. If caught early enough, we may not even have to replace any cells within that battery. Be careful to all who are looking to find a replacement battery. There are a lot of places selling used batteries, or remanufactured batteries. The process to condition a single battery is fairly simple, but to condition a complete hybrid battery takes the proper equipment and scientific process to keep them balanced. There are but a handful of shops that have this capability. We have performed our battery conditioning process on many of these “other” batteries, as the failure rate is very high. Don’t pay twice, take your vehicle to The Hybrid Pro’s to have it done right, the first time. So if your Prius Hybrid Battery is dying, The Hybrid Shop has the necessary skill and equipment to effectively perform all your Toyota Prius Hybrid needs. From complex high voltage electrical components to the simple care and maintenance of your beloved hybrid car. Here at Toole's Garage, we work on many other Hybrids as well. From Toyota Camry Hybrids, Lexus Hybrids, Honda Hybrids, Nissan Hybrids, any Hybrid. We got you covered.